Anorak is a beautifully illustrated magazine aimed at children between 6 to 12 years but people of all ages are welcomed to enjoy them! Includes stories and activities illustrated by contemporary illustrators. 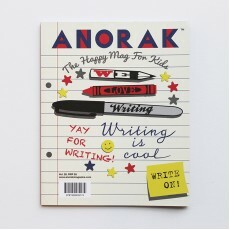 Anorak is a beautifully illustrated magazine aimed at children between 6 to 12 years but enjoyed ..
Anorak is a beautifully illustrated magazine aimed at children between 6 to 12 years. Each issue .. It's fascinating to think that animals have roamed out planet a lot longer than we have. The fly ..
An issue dedicated to the art of inventing, to the nist brilliant minds behind the most brilliant.. 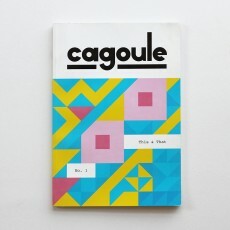 This issue celebrates the art of WRITING. It is dedicated to spreading the joy of the written wor..
A grown-up magazine from the folks who make excellent kids publication Anorak. If you ever get a .. In this issue, PLOC celebrates SPORTS and sporting heroes. Packed with stories to read, games..